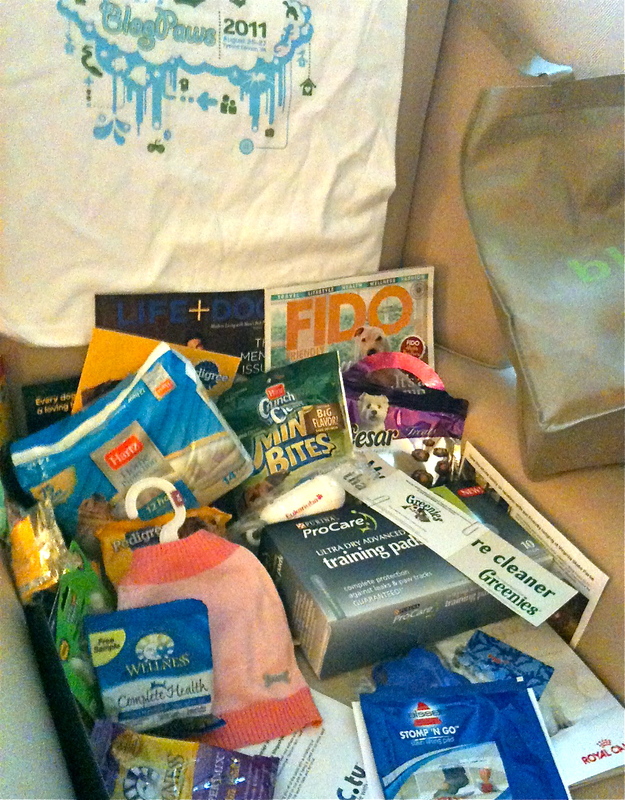 To Dog With Love: Wordless Wednesday: Cosmo's big box of BlogPaws swag! Wordless Wednesday: Cosmo's big box of BlogPaws swag! Our BlogPaws swag arrived in a big box, because no suitcase was big enough -- and I'm certainly not strong enough -- to carry home the haul from this year's event. 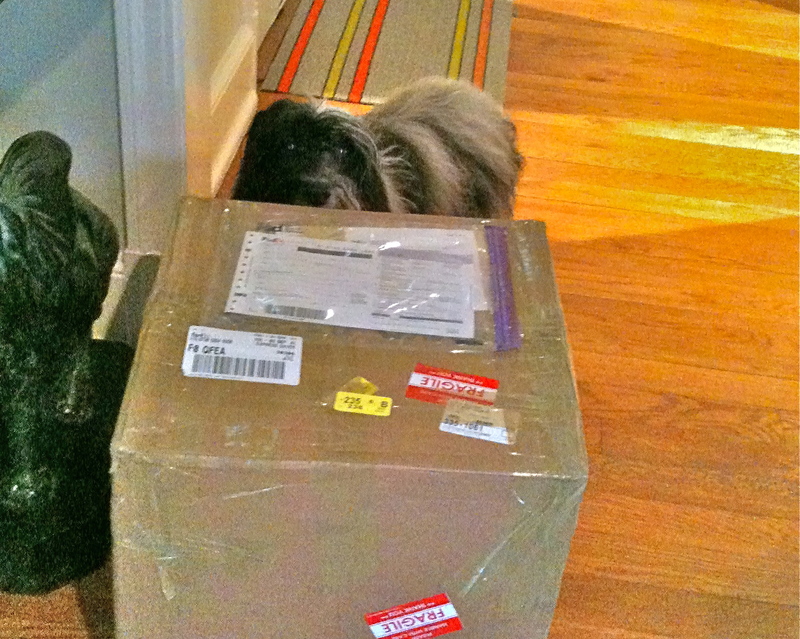 Guess what's inside! And what's in here too! 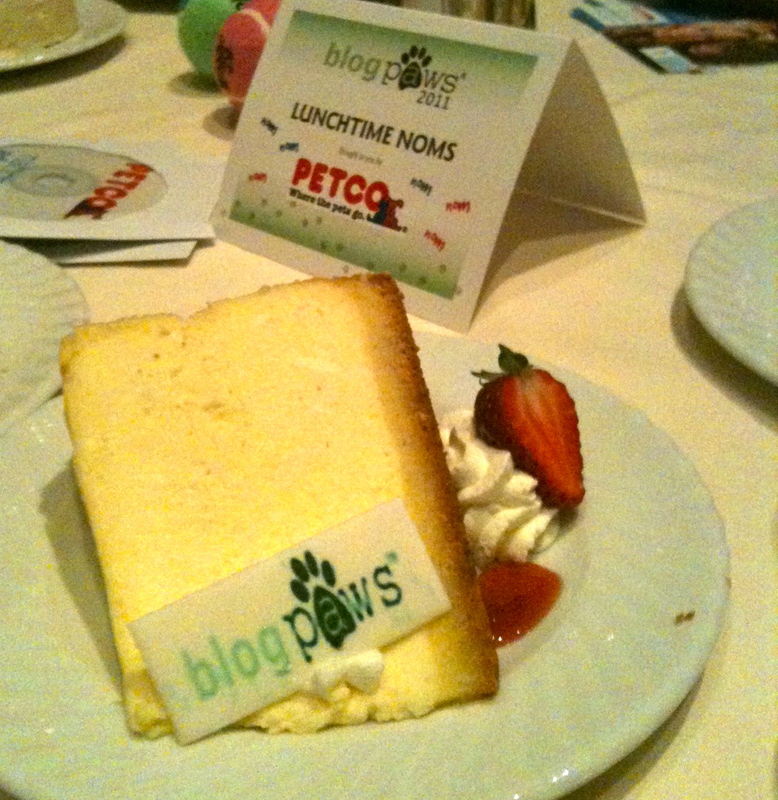 Now head on over to the BlogPaws Wordless Wednesday Blog Hop! 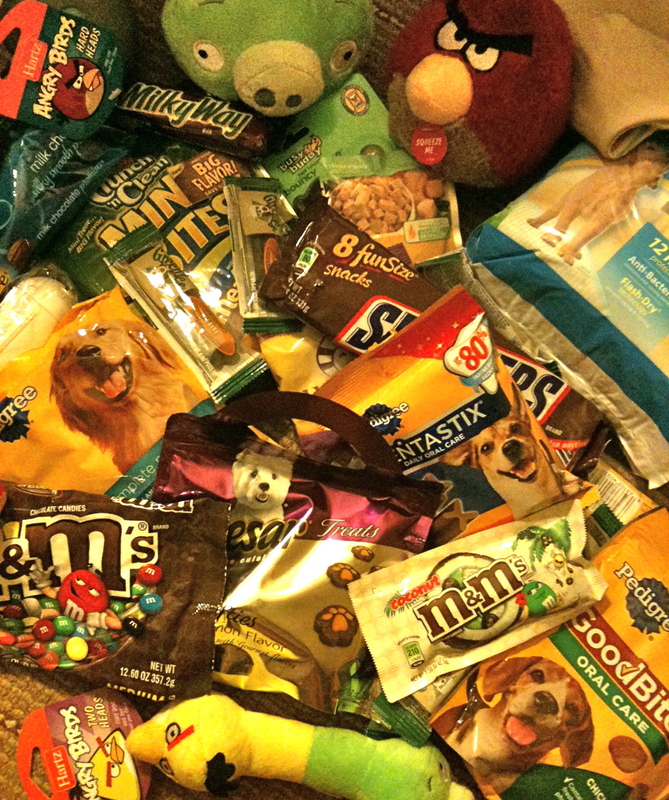 Sugar, We got some pawmazing toys and treats! The chocolates are mama treats! Benny and Lily, no kidding! This'll keep me busy for a while! Wow, always nice to get a swag bag bigger than you, Cosmo! 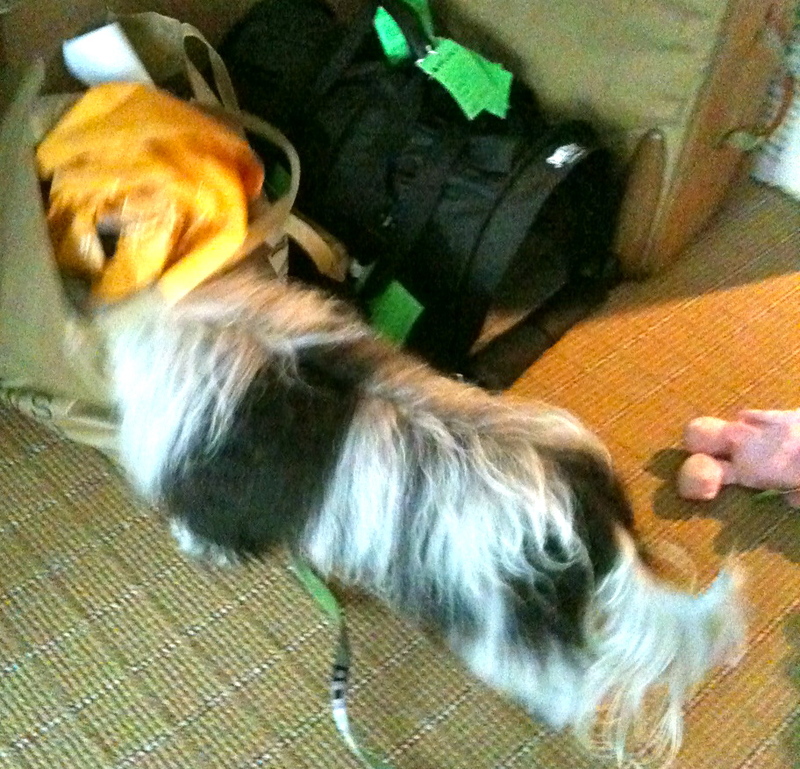 Yep, I got a great bag of loot brought home to me too! Not that you would remember, but I'm pretty sure you gave my seemingly "parched" Corgi a glass of water in the StumbleUpon session. :) Just wanted to say thanks!